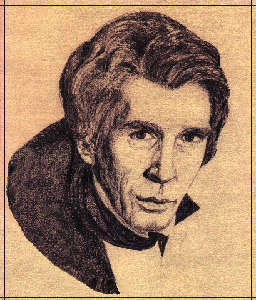 Romantic: A soulful or amorous idealist, such as Frank Langella's portrayal of Dracula in this film. Raconteur: Someone skilled in telling anecdotes, the way Mr. Langella tells stories with his acting skill. 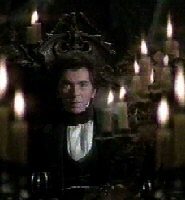 Frank Langella, born January 1, 1940, starred in a 1979 version of Dracula (Universal), along with Sir Laurence Olivier (Van Helsing), Kate Nelligan (Lucy Seward) and Donald Pleasance (Dr. Seward). The movie is effective because of Langella's complex, sensual performance and his on-screen chemistry with both Nelligan and Olivier. This film paralleled the 1931 [Bela Lugosi] version in that both were based on theatrical productions which had become tremendously popular. The Langella play opened on Broadway in 1977. 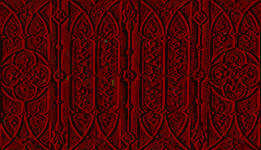 John Badham's direction cultivated the Gothic terror of both the famous novel and original play (by Hamilton Deane and John Balderston), while focusing on the count's seductive horror. Much of the photography and cinematography was also seductive. My favorite is the scene where Lucy arrives for dinner with the Count at Carfax Abbey, the vampire's new home transformed into a romantic vision lit by innumerable candles. "Listen to them, the children of the night. What sad music they make. 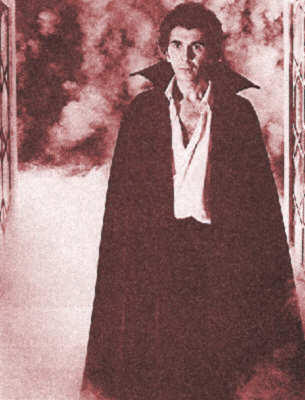 Like Bela Lugosi before him, Frank Langella acted in both stage and screen versions of Dracula. His portrayal, however, was much more romantically-oriented than the 1930s sensibilities of Todd Browning allowed the Lugosi film to be.